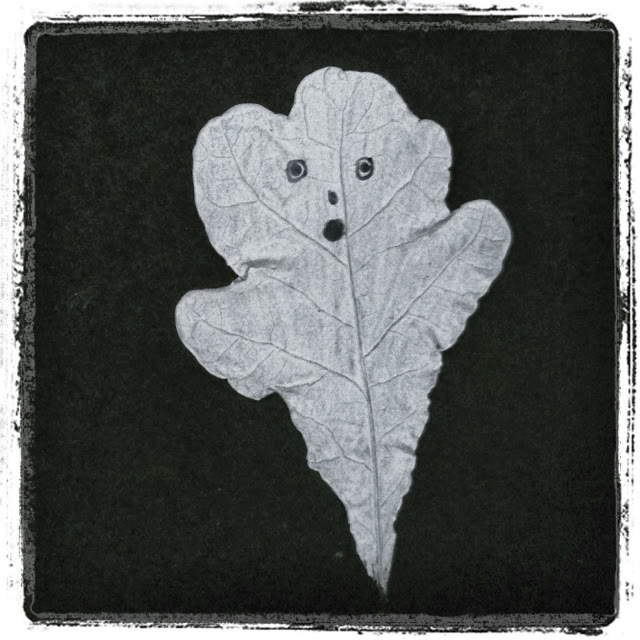 The silhouette of my oak leaves struck me last week as being very ghost like. That sounds strange 'my oak leaves', but as I planted the acorns that are now producing these leaves I do feel very maternal. I pressed them and painted them and here they are OoooOoooOooooooooooooooing to you. 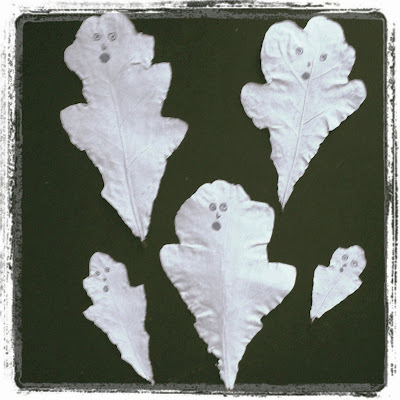 The Oak leaf ghosts and I wish you a very Happy Halloween. Just the perfect thing for a beautiful Sunday morning, I love their arms the best. Happy Halloween Witch Hazel. What a wonderful nature craft for Hallowe'en. 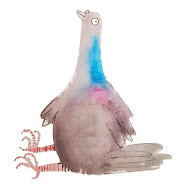 I'm adding it to my repertoire for kid parties and forwarding to to my Nature Center buddies. Thanks!